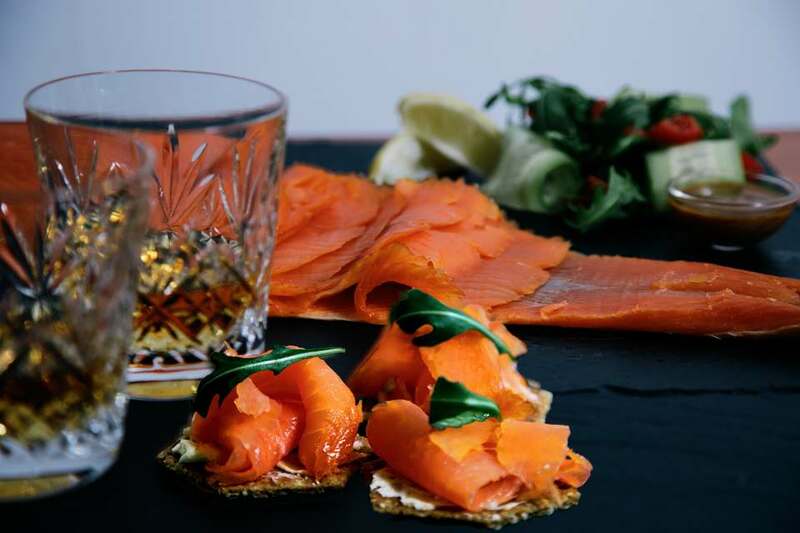 The Applecross Peninsula in Wester Ross now boasts a new, modern artisan smokehouse producing gourmet smoked salmon using a mix of traditional and modern methods. In addition to smoked salmon, Applecross Smokehouse also produces luxury smoked sea trout, shellfish, pate and cheeses. The salmon is sourced from a sustainable fishery in Loch Broom near Ullapool in the Highlands, and the sea trout is from Loch Melfortare, where the trout are reared in accordance with the Marine Scotland Code of Best Practice. The scallops are hand dived in the local sea lochs and the cheeses are from the Highlands. The smoked salmon is available as whole sides, 400 gram packs or 180 gram packs. Prior to smoking, the salmon is cured in a special, well proven marinade developed by Derrick MacIver, the proprietor. Whisky soaked oak shavings are used during the smoking process, ensuring consistent, outstanding smoked products with a distinctive and unique flavour. All preparation, smoking and packing is carried out in the new smokehouse which has modern, up to date equipment providing a clean and hygienic environment. All smoked products are vacuum packed and available for door sales at Kenmore, the location of the Smokehouse, but to ensure that the item is available, it best to telephone in advance to avoid disappointment. For Internet orders, everything is despatched in insulated packaging and enclosed with a frozen gel pack. Monday, Tuesday, Thursday & Friday - 10 am to 5 pm. Please call us on 01520 755367, or beforehand to avoid disappointment. 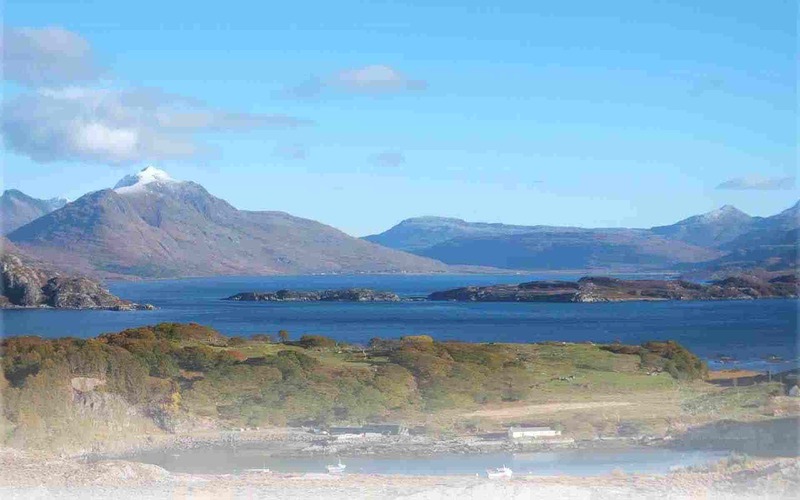 You will find us near the small township of Kenmore, overlooking Loch Torridon, on the north coast of the Applecross Peninsula at Latitude 57.543371 / Longitude -5.742427. If you are travelling from the Applecross direction having come over the Bealach na Ba, the Smokehouse is 17 miles from Applecross. Pass the Kenmore road end and continue for another 500 yards. Look for the Smokehouse signs on the left. If using a Sat Nav, this will bring you as far as Ardheslaig. Many hamlets along the coast road share the same post code IV54 8XH as Kenmore. At Ardheslaig the Sat Nav will inform you that you have reached your destination. Ignore this and continue for a further 2.3 miles towards Applecross. We are located at the first houses on the right hand side, below road level. Look for the Smokehouse signs.